This was one crazy battle that brought lots of stress and headaches, but after so many hours of strategic planning I finally came up with an idea. 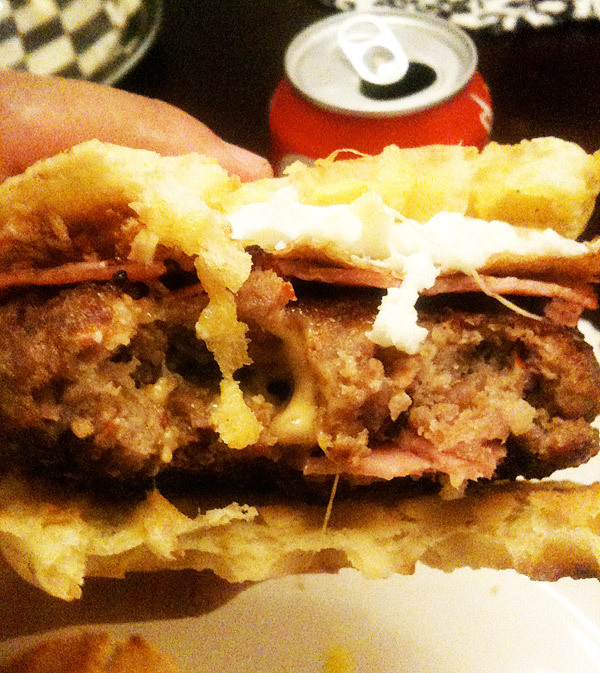 I decided I would make the best breakfast burger ever. 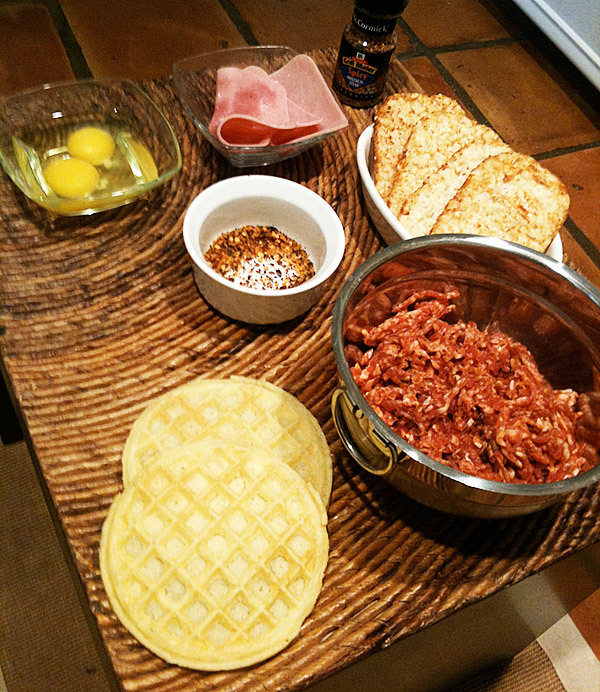 My ingredients were Johnsonville Italian Ground Sausage, Hash Browns, Eggo Waffles, Ham and eggs. Dylan Burciaga also had to get a little taste. 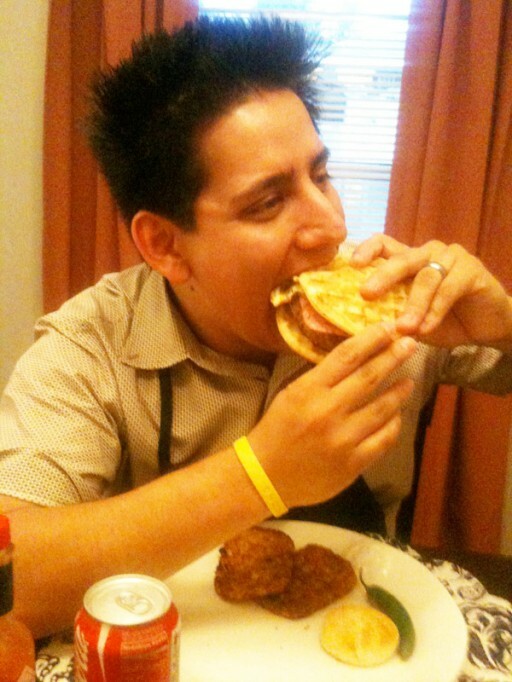 I mixed an egg, ham, coby cheese and sausage ground beef and made 2 burger patties. 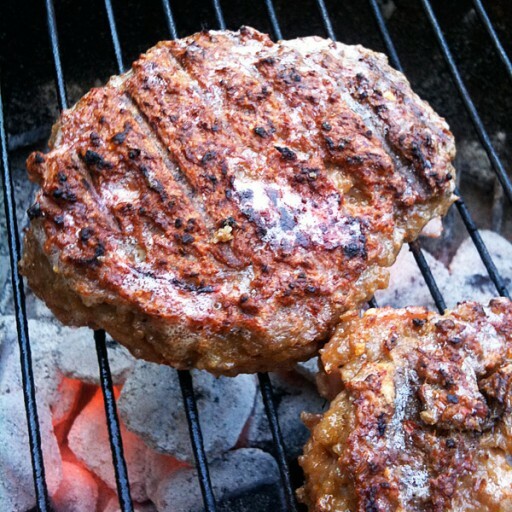 Then I added a bit of generic steak seasoning with a hint of black pepper. 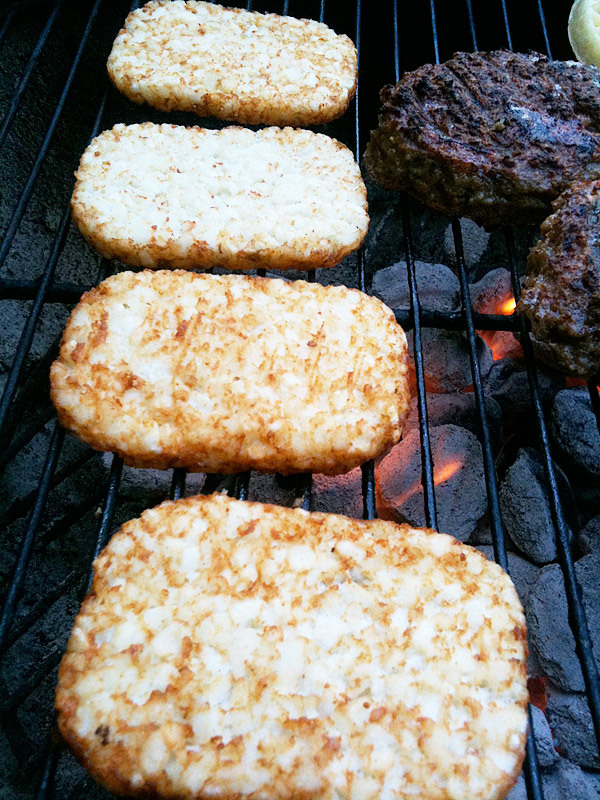 Once the grill was ready, I placed the patties on top and let them sit on each side for about 4-5 minutes. In the process of grilling, I accidentally dropped a glass plate and it shattered all over the place. My wife was not a happy camper, but good thing for me I did not use one of the nicer plates. 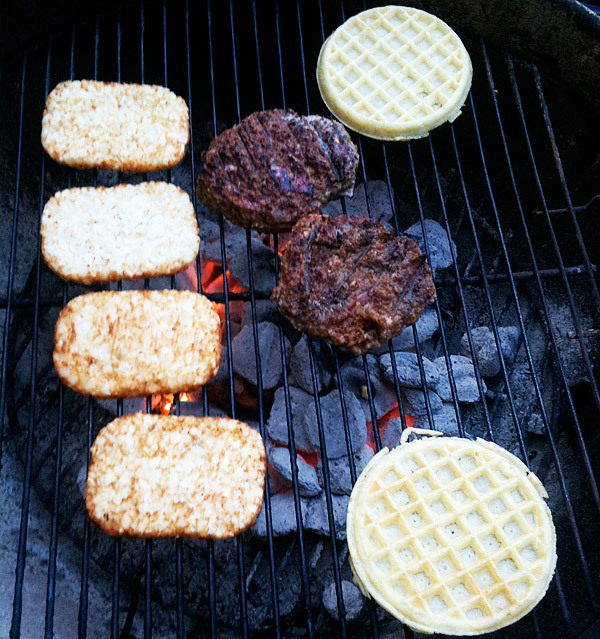 Once the patties were almost done, I placed the hash browns and eggos on the grill so that they too could have a charcoal taste. And finally, I placed two slices of ham on the grill for about a minute. 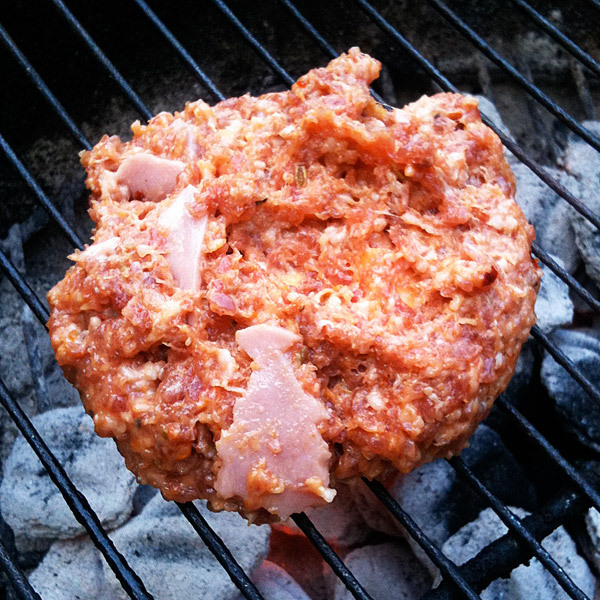 And yes, I already had pieces of ham mixed with cheese inside the patty. Haha nice. I’ve got to try this. I notice you’re using charcoal; how do you like using that compared to gas? Better results? 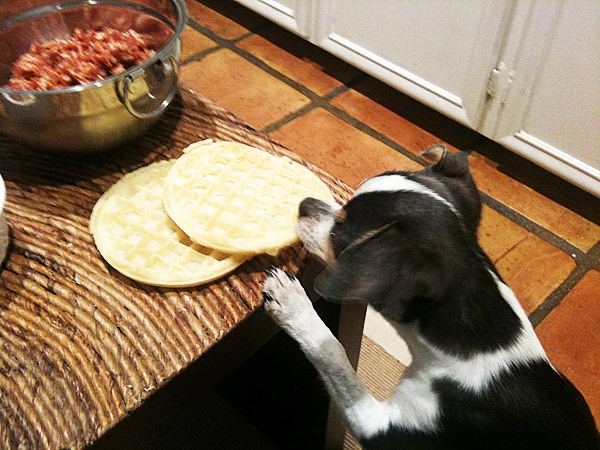 I like the action shot of you eating this. How did this all taste with coke? 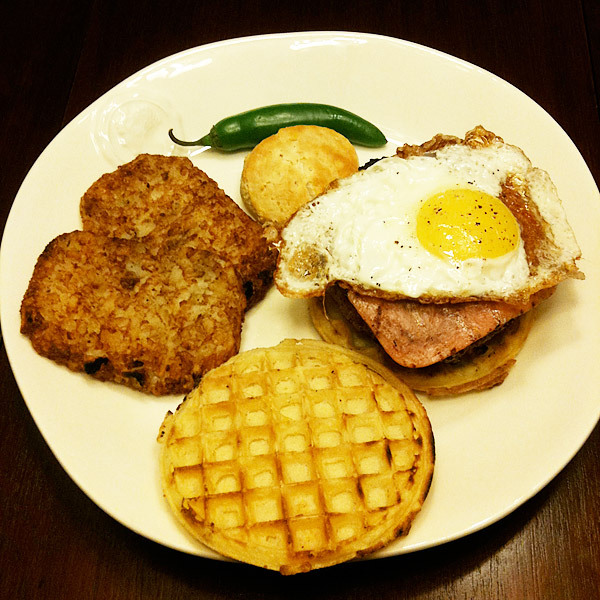 Coke with the burger makes sense, but coke with the breakfast stuff seems nasty haha. 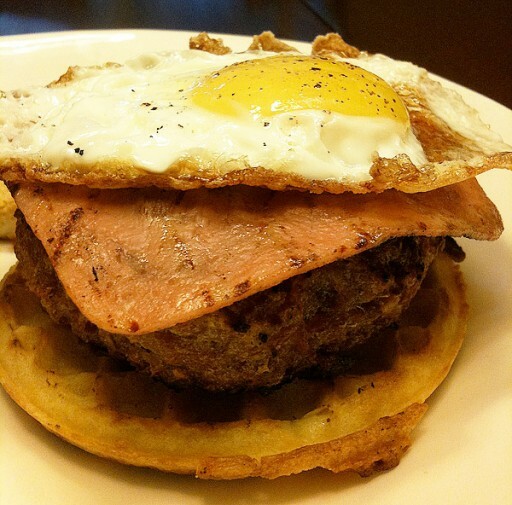 @Vin – next time we see each other you can make me a pancake burger. @Kevin – Dude charcoal rocks. It gives it a great flavor. Also I had to drink it with coke because I forgot to buy milk. I always have to have milk with my eggs.